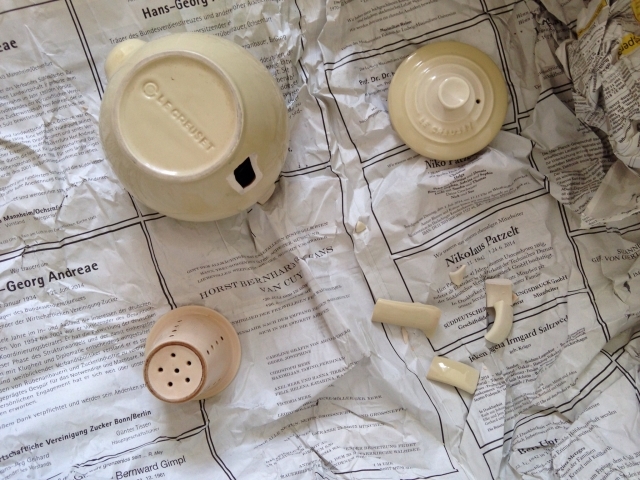 Four boxes of my kitchen and home stuff arrived here from Berlin yesterday. Not all them survived the journey. These two left Berlin as my favorite and only remaining teapots. But many cookbooks, cups, plates, and potholders arrived safely. 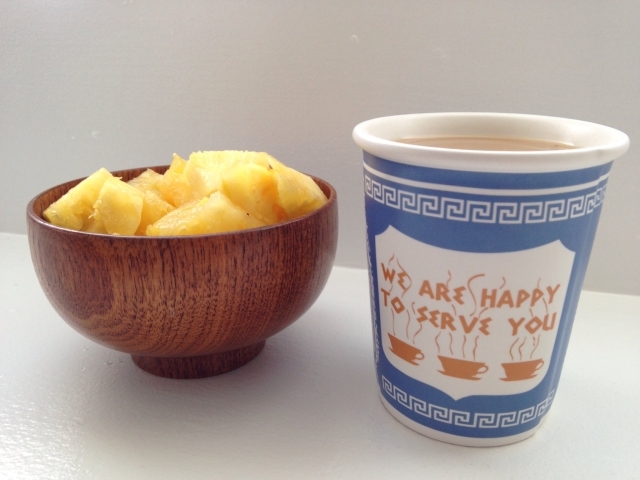 Strange to see the things from my old life, like my reusable version of a NYC deli coffee cup from my friend Tim, alongside things from my new life, like local pineapple for breakfast in the wooden bowls Marko found at a “moving back to Japan” garage sale here in Honolulu. 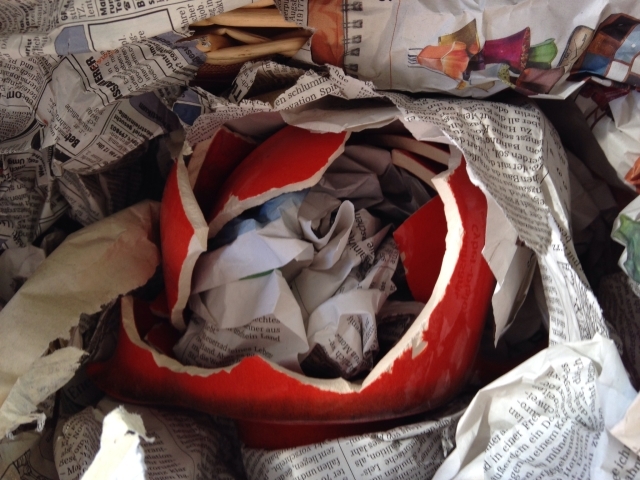 This entry was posted in Blog and tagged design, food, honolulu, local time. Bookmark the permalink.